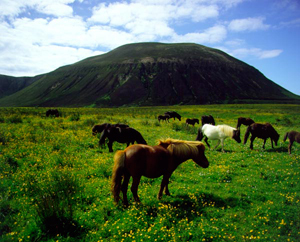 Hoy from the Norse 'Haey' meaning high island is the second largest island in the archipelago after the mainland of Orkney. Hoy is very scenic, with its high hills and valleys. There are beautiful viewpoints with breathtaking panoramic scenery. Wartime steeped history, wildlife and folklore make Hoy a must see part of Orkney. This tour starts at 9am. On the way to catch the ferry to Hoy you can enjoy views of Scapa Flow where the British Naval Fleet were anchored during both world wars. The ferry passes the island of Flotta, a beautiful small island now famous for its connections to the oil industry. Arriving on Hoy we first head to the Lyness War Memorial Cemetery. Built to lay to rest the fallen soldiers from both the world wars. Now people can visit here in remembrance of them. This well-kept cemetery is a beautiful and peaceful start to the day. 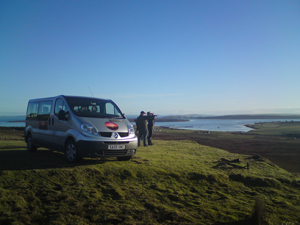 Next we take you off-road to Wea Fea view point, here you can experience spectacular views of Scapa Flow and see as far as mainland Scotland. These rare views are tranquil and majestic. We now head to the Scapa Flow Visitor Centre where you can enjoy taking time to look around the museum. Also sited behind the museum are old army vehicles housed in one of the old oil tanks from the war, here you can see the different types of vehicles used in the wars. This is an interesting and informative well set out museum with an emphasis on fun. 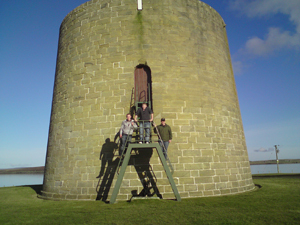 Next, we take a drive to the south of the island to visit Martello Tower and Hackness Battery. The sea around the north of Scotland via Orkney became an important trade route for Scandinavian and Baltic states because the English Channel was under threat from French ships during the Napoleonic wars. However the growing threat from French and the U.S privateers, inspired the admiralty to strengthen defences by building the Hackness Battery and Martello Tower. The tower itself is oval shaped for deflection purposes. The sea wall is 4.25m thick, built from sandstone which does not splinter like blue stone when hit by enemy fire. A very interesting site to visit. Lunch is served at a local hotel where you can enjoy fresh produce and home cooking. 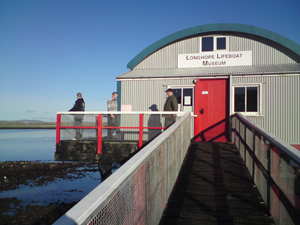 A short drive takes us to the Longhope lifeboat museum. On March 17th 1969 the Longhope lifeboat was launched to aid a Liberian cargo ship, sometime between 9:30pm and 1:15am the lifeboat had capsized losing all men on board among them were two fathers each with two sons on board making this Orkney's darkest day in maritime History. At the museum the walls which were once the Lifeboat Shed at Brims, are adorned with hand-painted boards detailing the rescues of hundreds of people from the seas, with each listing a remarkable story of true-life drama. Visitors are allowed to go on board the lifeboat which is the centre piece of the museum. Moving on we now head back to the other side of the island to take in another spectacular view point. This view point looks out over Scapa Flow, across to the mainland of Orkney and to the town of Stromness. These views are fantastic with the ever changing light, big skies and the meeting of the tidal flows which make for dramatic scenes. Our last journey on this beautiful island takes us to the ferry and back to the mainland where you can enjoy a leisurely drive back to your accommodation. This trip is relaxing, scenic, peaceful, interesting and fun. See Orcadian culture, history and magnificent views. Come and meet the locals with us..